The Gilder was founded in 1991 with a focus on providing a high quality framing service to artists, art galleries and art collectors. Over the years, we have had the opportunity to frame a rich diversity of artwork in many different kinds of media, including paintings, works on paper and photography. We often collaborate with both emerging and established artists to help determine the best way to present their work, and do on occasion assist in producing the artwork itself. We have experience with a variety of Canadian art, both 20th century and earlier, as well as European art, from old masters and 19th-century painting to early 20th-century modernism and contemporary art. 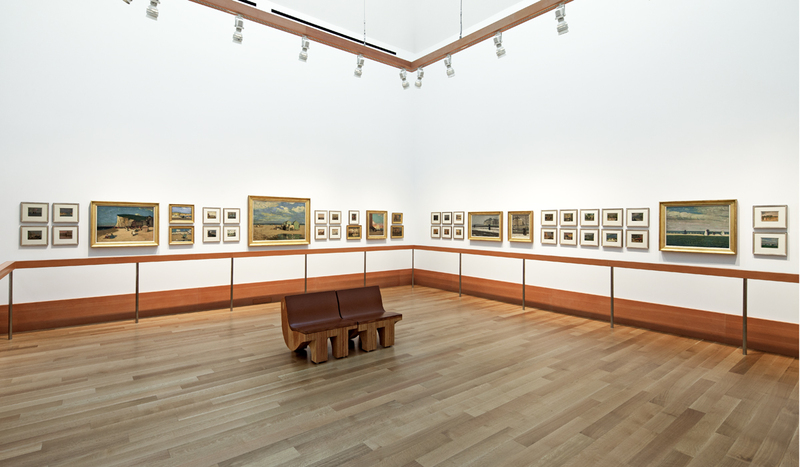 Our frames are part of many Canadian and international collections, both public and private, and have travelled to private and public galleries and museums worldwide. We build our own frames in house and can cater to a wide range of unique framing needs. Early on, we dedicated ourselves to designing and making our own frames in-house, whether they were simple wood frames with natural, stained or painted finishes, or involved more complex water gilded or gesso applications — a tradition we have continued as the scope of our work has evolved. We mill and shape our own mouldings using a number of domestic hardwoods such as maple, white oak, walnut and cherry. Our frames have closed corners and are joined with wood splines. Our gilded frames are made using traditional gilder’s gesso, a mix of chalk and rabbit skin glue, and are water gilded on coloured bole with white or 23 karat gold leaf. Many of our frames are designed specifically for floating modern paintings. Ultimately, we take pride in our ability to respond to the need of a client by producing custom frames that are most appropriate for the work. We believe that the design of the frame has an immense influence on how a work of art is experienced. It is essential to create a setting that is in tune with the artwork, and does not interfere with how the work wants to express itself. 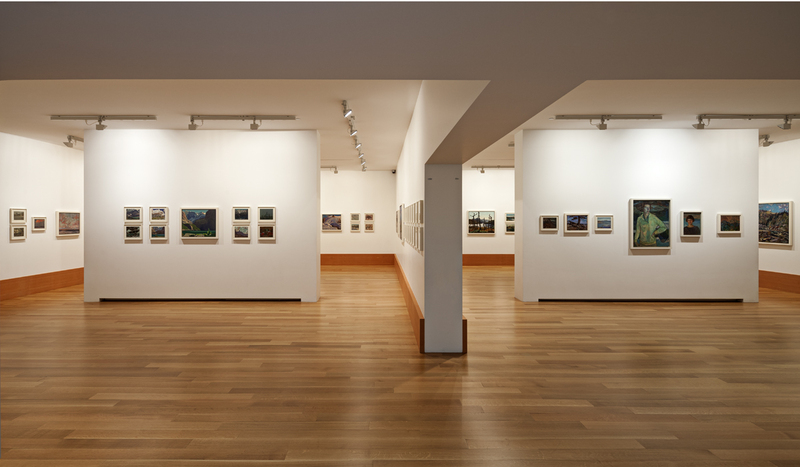 We believe that the function of the frame is to bring out the intrinsic quality of the work, and to allow the viewer to connect with it. We are aware of the need to preserve works of art by creating a stable and neutral environment free of contaminants and pollutants. Protecting the artwork is a major function of the frame. When proper framing techniques and materials are used it is possible to slow the effects of time and to minimize the impact any handling has on the work. We collaborate with experienced conservators to properly assess the condition of the work and possible need for treatment. We offer pick-up and delivery in Toronto, and can help arrange for shipping and crating service. We also build plinths and pedestals, and offer custom-made acrylic cases and boxes, welded aluminum frames, and keyed wood stretchers, as well as a stretching service. In the summer of 2014 we were commissioned by the Aga Khan Museum to make frames for the inaugural exhibition “In Search of the Artist : Signed Paintings and Drawings from the Aga Khan Collection”. The objective was for the museum to have a set of standard frames in which to exhibit their exquisite collection of works on paper. We designed a walnut frame using a very slim moulding with a sensuous and timeless french polish finish buffed to a very soft sheen. With the intention to accomplish a highest level of craftsmanship we also build matching subframes out of walnut and added anodized aluminum backings that offer a highest level of protection for the treasured artworks within. 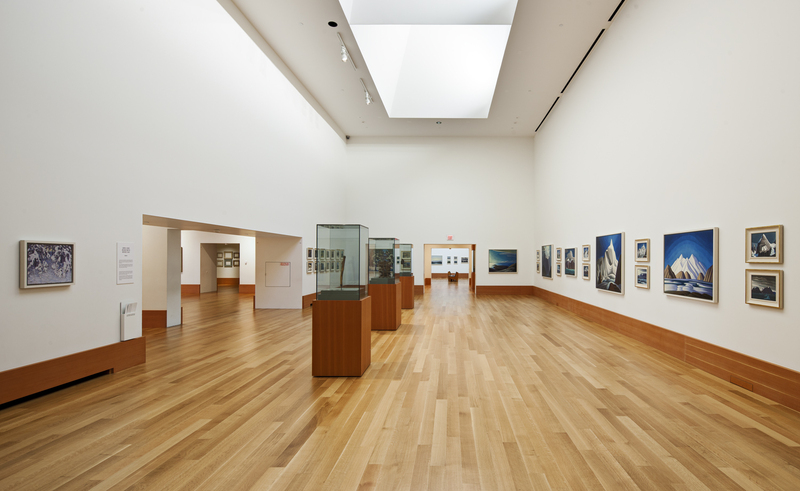 Images from the exhibition “In Search of the Artist” 2014, courtesy of the Aga Khan Museum, photographer Gary Otte. 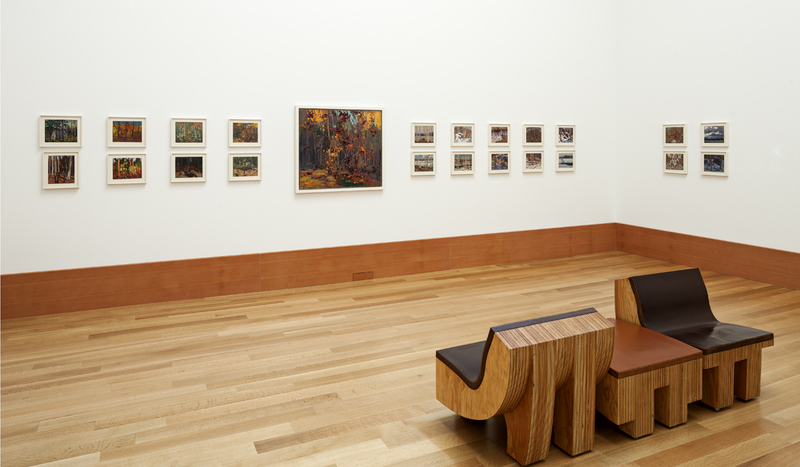 In 2008 we were asked to design and make frames for over 400 works in the Thomson collection. This included paintings and works on paper by Paul-Emile Borduas, Emily Carr, Franklin Carmichael, Alex Colville, Lawren Harris, A. Y. Jackson, Cornelius Krieghoff, Arthur Lismer, J.E.H. MacDonald, David Milne, James Wilson Morrice, Peter Paul Rubens, Tom Thomson, Frederick Varley and Willem van de Velde. 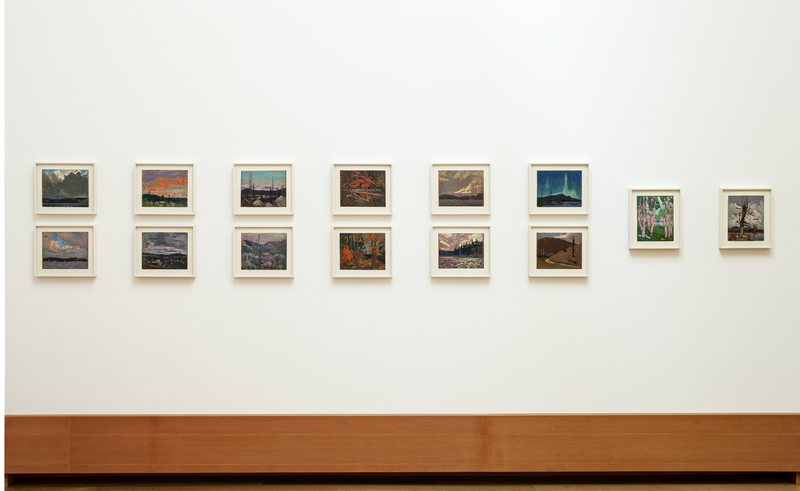 Among many challenges we faced was a matter of unifying the collection of Tom Thomson and the Group of Seven, and designing frames that would allow over 300 oil sketches to be exhibited in a open and uncluttered manner. Mon - Fri, 10am - 6pm. FRAMING CONSULTATIONS BY APPOINTMENT ONLY.